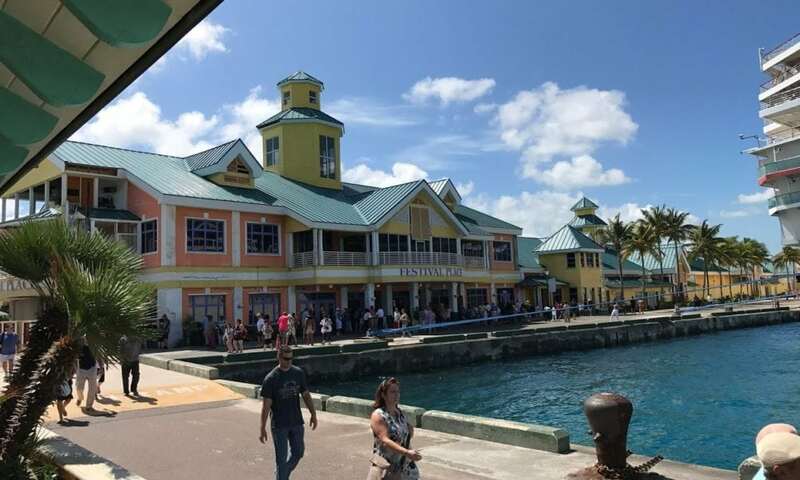 After talks with the Bahamian government, Royal Caribbean Cruise Line is dropping the warning it had been issuing passengers regarding crimes in Nassau. Instead, a more generic advisory will be printed in the cruise line’s daily newsletter. According to a local media report, the move comes after the Minister of Tourism and Aviation for the Bahamas, Dionisio D’Aguilar, reached out to Royal Caribbean and did some, in his words, “gentle nudging.” His complaint? That the line had been warning passengers about crime in Nassau being on the rise in general as well as very specific areas such as the Arawak Cay Fish Fry. It was a letter from Anthem of the Seas’ captain to his passengers which caught the attention of officials in the Bahamas. Editorials and news stories out of the Bahamas have speculated as to the reasons Royal Caribbean might have issued the warning when it did, pointing out that the late-December timing was particularly harmful as it might have deterred cruisers from disembarking to shop for holiday gifts. It was also pointed out that Royal Caribbean is one of several cruise lines who have partnered with Cruise Ports International to place a bid which, if successful, would see them playing a major role in the renovation and potential operations of the cruise port. (The study of bids and selection of a primary contender was due to take place in late December, but has been extended into 2019.) Still others pointed out that the cruise lines have a vested interest in encouraging passengers to remain on the ship as opposed to disembarking in port… and taking their spending money with them. Several entities are bidding for the right to give Nassau’s port a major makeover. However, the warning about crime was not coming only from Royal Caribbean. In January of 2018, the U.S. State Department had issued a similar warning, and the Canadian government added their concern to the mix just before the holiday season. In fact, meeting with the Canadian High Commissioner to the Bahamas to address their statement and concerns is next on D’Aguilar’s “to-do” list.